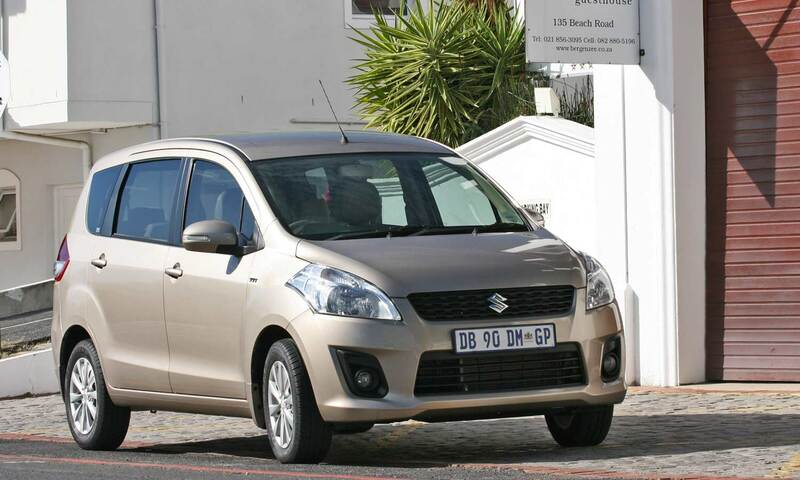 Suzuki call the Ertiga a Life Utility Vehicle. I call it a little bus car. Drives like a car, but has the space of a little bus. In fact think of it as a Swift with the space of a bus. The dashboard is just like that of a Swift, which is a good thing as the Swift is a pleasant car to live with. 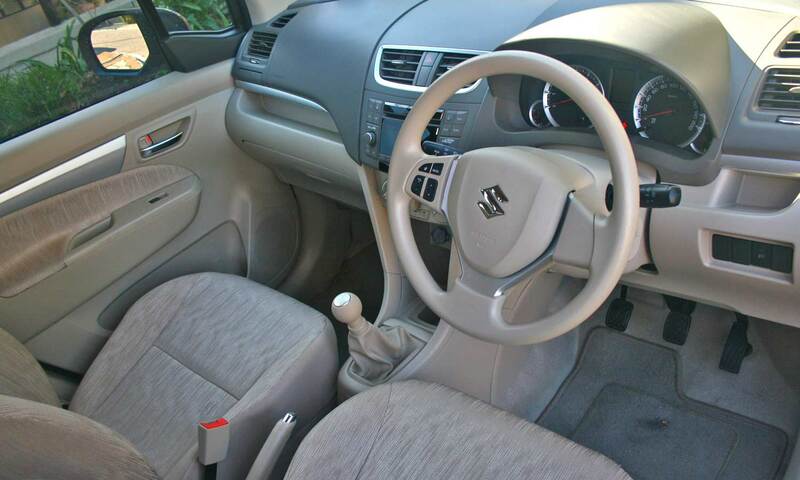 The driving position of the Ertiga is very comfortable and relaxed, but you will have to get used to the light beige upholstery. I think seat covers may be a good idea. Ertiga is all about space. 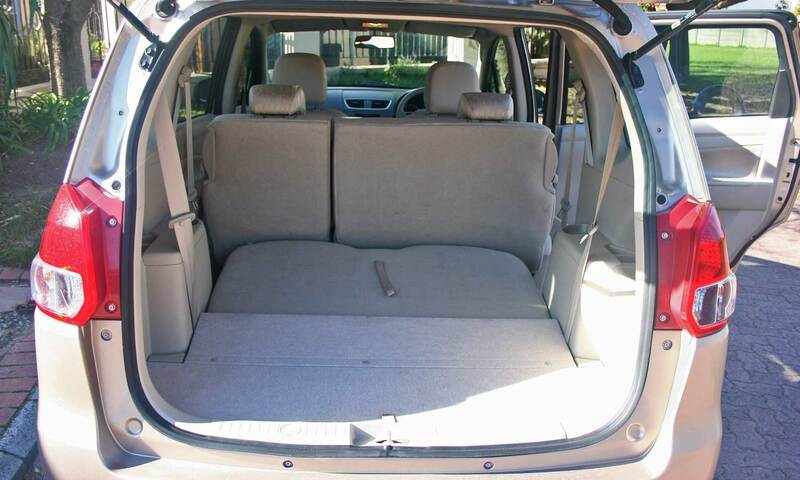 The rear seat, which is quite comfortable, folds flat making a really large load area, just like a small van. Access to the rear seat is pretty good too and easy thanks to the wide doors. This makes it an ideal courtesy vehicle as it is a seven seater. Build quality of the Ertiga seems to be very good. Panels line up and there are no rattles, squeaks or flimsy feeling switches. Everything works and is in the right place. More car like than van like. 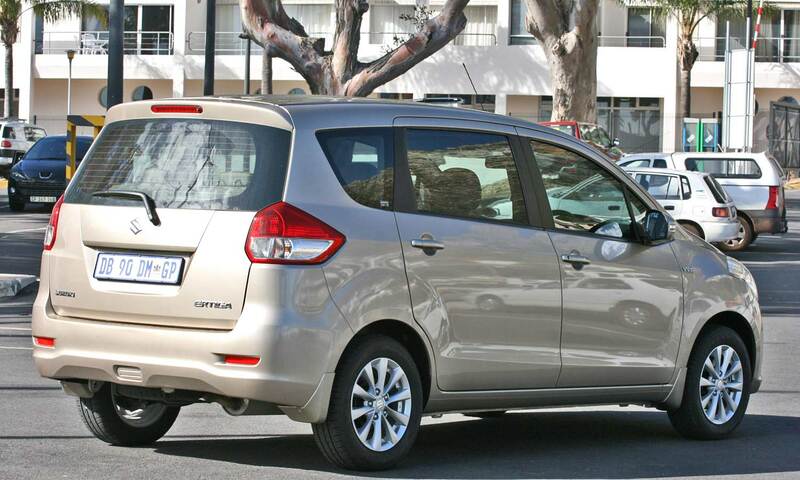 Toyota’s Avanza is a van, looks like one, drives like one. The Honda Mobilio is between a van and a car. This Ertiga feels and acts like a car, even almost looks like one. So, almost a Swift on steroids. I got just under 7 litres/100km on my mixed driving route. Be warned though, she revs very high at 120km/h and so is quite noisy. I drove it in quite windy conditions and must say it felt quite stable and handled the lateral gusts quite well. All in all it was pleasant to drive. There are 5 models, starting with the 1.4 GA at R163 900, and tops off with the well priced GLX AT @ R211 400. The warranty is 3 year/100 000km, 6 year corrosion, 3 year road assistance, 4 year/60 000km service plan. 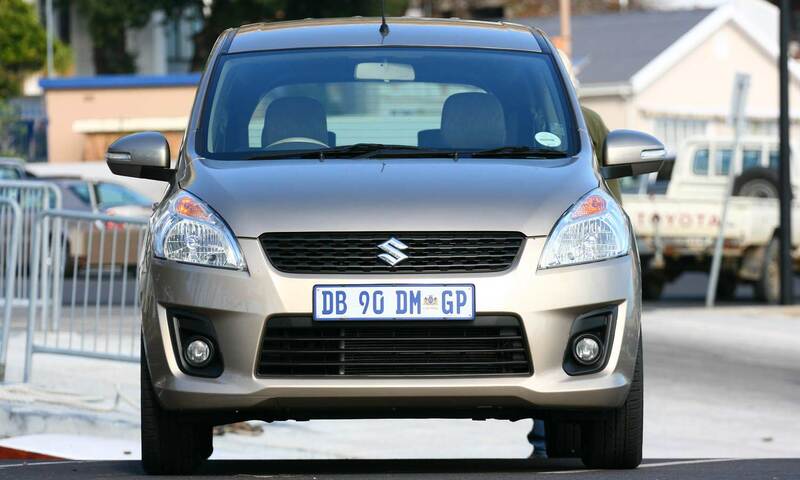 This entry was posted in Reviews and tagged 2015, Ertiga, MPV, petrol, Review, South Africa, Suzuki. Bookmark the permalink.